Adolf Eichmann (portrayed here by Ben Kingsley) was one of the high ranking Nazi officials responsible for orchestrating the Holocaust, never firing a shot himself but condemning millions to their deaths with his paperwork. Essentially a glorified civil servant, the unassuming figure of Eichmann led the philosopher Hannah Arendt to coin the phrase "the banality of evil." While Hitler may have boasted a charisma that we struggle to recognise today, Eichmann was said to be almost devoid of personality. Not the greatest antagonist for a movie perhaps, but there's potentially plenty of drama to be had in the story of his capture at the hands of Mossad agents in 1960, which is the tale spun by director Chris Weitz in Operation Finale. When the Israeli authorities are tipped off to Eichmann's residing under an assumed identity in Argentina, a team is assembled with a plan to extract him from the South American nation, itself flirting heavily with fascism at the time, and return him to Israel to stand trial for his crime. Leading the unit is Mossad agent Peter Malkin (Oscar Isaac), haunted by the memory of his sister, who died along with her children at the hands of the Nazis. 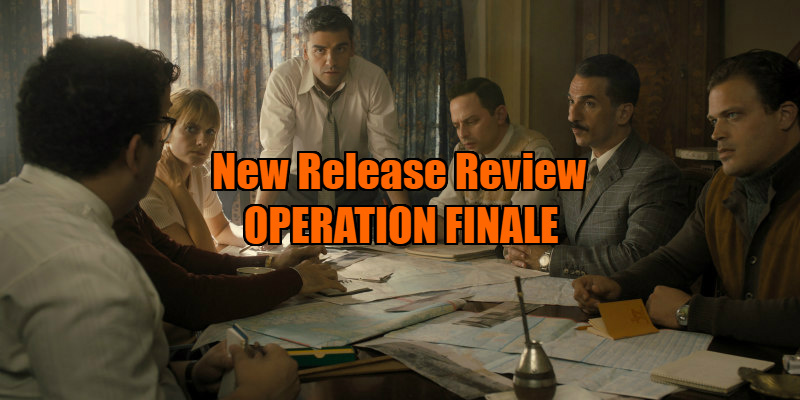 After a promising opening in which Malkin assembles his team and heads to South America, cracks begin to appear in Operation Finale's narrative. Much is made of a female agent, Hanna (Mélanie Laurent), being recruited by Malkin, who claims they can't pull off the mission without her, but we never see her make any crucial contributions to its execution. Hanna seems to have been shoe-horned in simply to generate a bit of cheap sexual tension with Malkin, or perhaps to avoid accusations that the film's cast isn't diverse enough. Eichmann's adoring son Klaus (Joe Alwyn) hooks up with a gang of neo-Nazis to scour the Argentinian landscape for his father, but Weitz never generates as much tension and suspense as he should from this subplot, which frankly comes off a little overblown and hard to swallow. The middle section of the film becomes a chamber piece as Malkin attempts to convince Eichmann to sign the papers that will allow him to legally take his prisoner back to Israel. 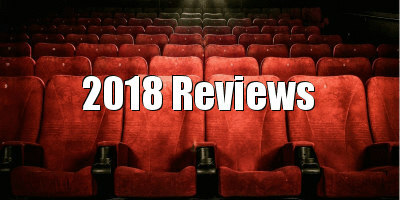 With two actors as strong as Kingsley and Isaac playing off each other, you might expect a gripping watch, but Matthew Orton's script is functional at best, rarely giving either actor much to chew on. Kingsley is a decidedly odd choice to portray Eichmann. Not only does he look nothing like the Nazi war criminal, but he arguably looks more Israeli than most of the actors that have been cast as Israelis. While the real life Eichmann was notably uncharismatic, you can't say the same for the always watchable Kingsley. As such, I never felt I was watching anyone other than Ben Kingsley, and I had to occasionally remind myself he was playing one of the most evil men of our times. Another of Operation Finale's stumbling blocks comes in its use of language. This is a story of Israelis pretending to be Argentinian in order to abduct a German pretending to be an Argentinian, so the use of language is pretty damn important here. I'm not naive enough to expect a Hollywood production to play out with subtitles throughout, but rather than simply committing to English, Weitz has his characters speak in Spanish and Hebrew at a few key points, which left me confused as to what language they were communicating in when the actors are speaking English. Whether Macklin is interrogating Eichmann in English or in the latter's German is an important distinction that gets lost here, and in a movie about a man who attempted to erase Jewish culture, there's something a little off in the film's refusal to acknowledge the Hebrew language. 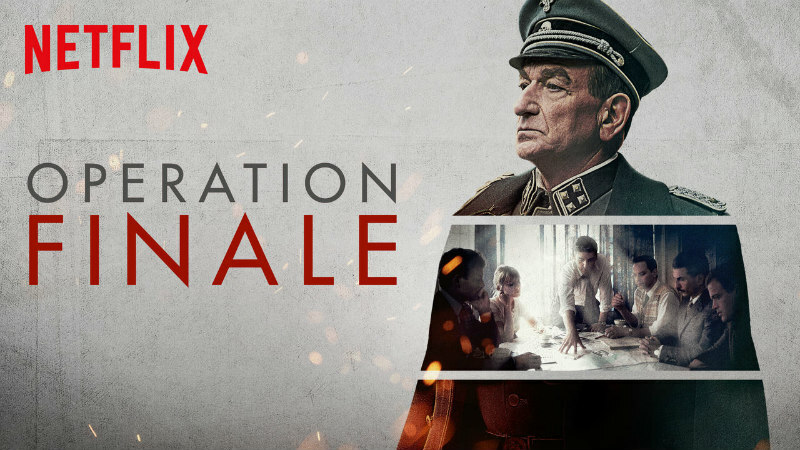 Operation Finale is on Netflix UK now.